More and more, hardware makers are starting to offer their devices in an unlocked capacity. Many of the flagship models we see at carriers are also offered direct to consumer. Going this route frees the consumer up from a contract or long-term obligation and provides peace of mind. Wouldn’t you like to hop from one carrier to another because of a better rate? And, really, who wants to bother with rebates, credits, and other hoops? Get yourself an unlocked phone and go where the best deal is in your neck of the woods. But, before you go rushing out to pick up any old unlocked phone, you’ll want to do some homework. To that end, we’ve put together a buyer’s guide to help you get a feel for the landscape. What you’ll see below are answers to some of the more common questions as it pertains to this topic. Additionally, we’ll provide you with a number of brands to choose from as well as outlets for purchase. In short, an unlocked phone is one that is not tied to a particular service provider or rate plan. You know how the Droid series is exclusive to Verizon? This is basically the opposite of that. You get to pair your unlocked phone with any number of carriers. It’s not unlike buying a personal computer and deciding which internet provider you’d like. Simply place the SIM card into the phone and you’re just about set. What’s the benefit of an unlocked phone? If there’s one thing that an unlocked phone gives you, it’s flexibility. Want to cancel your service? Want to switch to another company because of a promotional rate plan? Owning an unlocked phone lets you do just that, and without breaking any agreements or getting sacked with fees. If there’s a second thing that an unlocked phone gives you, it’s freedom. Heading overseas or out of the country for a bit? Take out your SIM card and put in a local carrier’s SIM for local data. Many of today’s unlocked phones even offer dual-SIM slots so you can hop between one carrier or another. This is perfect for those of us who might want two separate phone numbers, too. Lastly, going the unlocked route opens the door up to a much wider selection of phones. Most people don’t realize that there are literally dozens of models to choose from which might work with their network provider. You are not confined to what’s offered in their retail store or on their website. Indeed, you can find plenty of devices which will work with your carrier. Some of the most common network bands for unlocked phones include 800, 850, and 1900 MHz. Before you purchase your unlocked phone, though, check to ensure it supports your carrier(s) of choice. Indeed, there are other bands used by different carriers. It only take a few minutes to determine if your potential handset is going to work in your region or where you might travel. 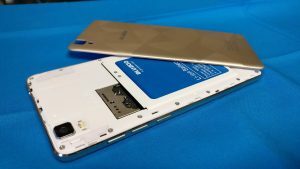 Some retailers will help spell out whether a phone is compatible with certain carriers; press releases for select phones also tend to do the same. Google has, since 2010, offered its own branded take on the smartphone. Each of these “Nexus” phones is built by a hardware maker and typically sold through Google’s store. In the past you might have seen a Google Nexus S or Nexus 4 offered through a carrier but that has died down with time. Today’s crop of phones, the Nexus 5X and Nexus 6P, are also sold via online retailers such as Amazon, B&H Photo Video, and Best Buy. There’s so much to love about the new flagship smartphone experience from Google. Launched in October, it’s the first handset to feature Google’s new Assistant technology. In other words, it’s super smart and just like having a virtual assistant with you at all times. In terms of hardware, the Pixel can hang with pretty much anything else on the market. The Qualcomm Snapdragon 821 processor blows through apps and games at blazing speeds; the 4GB RAM ensures you can multi-task like nobody’s business. Looking for a good camera for your mobile needs? There is, quite simply, nothing better on the market. 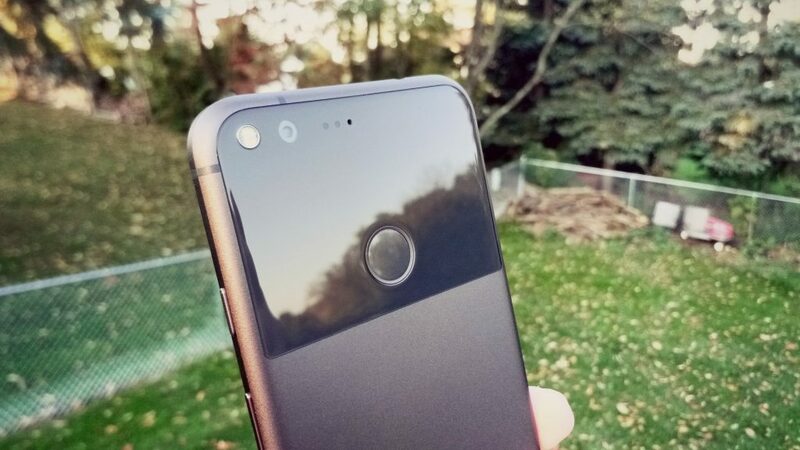 According to DxOMark, the Pixel’s rear 12.3-megapixel camera is the best smartphone shooter to date. 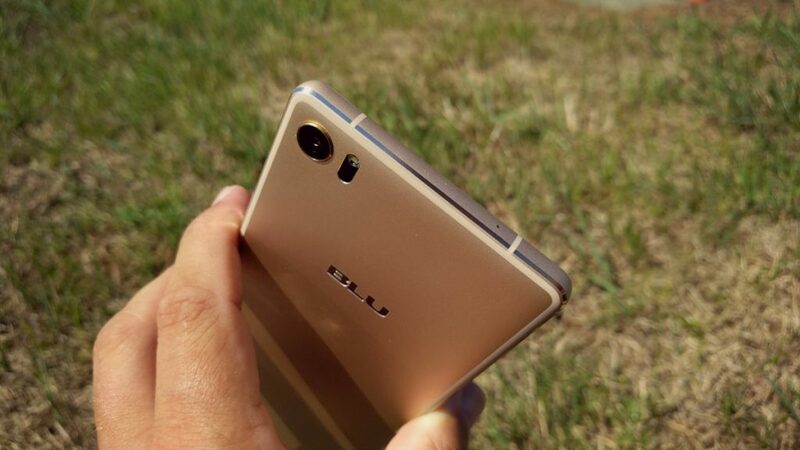 Around front you’ll find an 8-megapixel unit that takes gorgeous selfies. The 2,770mAh battery is strong enough to get most people through more than a typical day’s usage. But, for those who tax their devices a little more, its Quick Charge 3.0 support means you’ll be up and running again in no time. Simply plug it in for 15 minutes and you’ll end up with seven more hours of mixed usage. Storage comes in two capacities: 32GB and 128GB. While you might worry that the former is not enough, do note that both let users backup photos and video (even 4K!) to Google Photos for free — at the original resolution. All of this hardware is great, but let’s not forget the software that runs the show. The Android 7.1 Nougat is the absolute latest from Google and it’s smarter, intuitive, and more cohesive than ever before. When it comes to unlocked phones there are essentially two different ways to go: GSM compatible and universally compatible. In the US there are two major carriers which use GSM technology for service – AT&T and T-Mobile. There are a number of brands which operate on those same towers and networks, including Cricket (AT&T) and MetroPCS (T-Mobile). If this is the route you plan to go, a GSM compatible phone should do the trick. Verizon and Sprint, however, utilize CDMA technology for coverage. The same goes for the prepaid and MVNO brands which piggyback off of their respective towers. A GSM compatible phone will not work with either of those brands, regardless of whether it’s unlocked or not. Outside of the US we find that most countries use GSM for their service. Traveling for summer break or for work? In this case, you might be okay with a GSM compatible phone as it may also work overseas. A universally unlocked phone, on the other hand, can work on both GSM and CDMA networks. This means even more carrier selection and potential coverage. Some of you may be familiar with the term “international version” of a phone. For those who aren’t, this is simply an unlocked variant of a model that is offered through carriers. What you’ll typically find with an international version is slightly different packaging and branding. Additionally, it could feature minimal changes in hardware such as processor, camera, memory, and storage. Although it bears the same name, it’s not quite identical to what may be offered in your market or through a carrier. An added benefit for many users is that the phones do not come loaded with extra apps and games. Commonly referred to as bloatware, this is the stuff that tends to take up space and use resources. An international version tends to strip things down to just what the phone maker wants. One thing to pay close attention to is whether an international model will work on your preferred network. The bands and radio frequencies are what determine whether you can pair that hot new phone with your favorite carrier. For more on networks and bands in the US, be sure to read our primer. Fortunately, there are plenty of places to shop for an unlocked smartphone. As one might expect, you’ll find a wide selection at Amazon, where it sells nearly every brand mentioned above. Other noteworthy outlets include B&H Photo Video, Best Buy, and Newegg. In terms of reputable retail companies, you can even shop for unlocked phones at Target and Walmart. There are also a few online retailers who are starting to grow their US presence and could be worth considering. It certainly does not hurt to check out Gearbest, Geekbuying, and Tomtop, particularly if you’re after a less accessible smartphone. 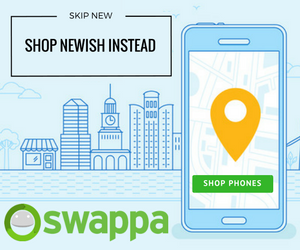 If you’re in the market for a gently used unlocked device, head to Swappa. The online destination has grown over the years and specializes in buying and selling of smartphones. It may surprise you to learn that nearly every phone maker you’ve ever heard of has unlocked versions of their portfolio. At any given time there are dozens of brands spanning hundreds of models to choose from. Whereas some of the bigger companies have slowly embraced this concept others have been operating that way since day one. Look up the official website for some of your tier-one smartphone companies and chances are good you’ll find ways to purchase them direct-to-consumer. Among those routinely doing that today are Motorola, HTC, and Samsung. Other key smartphone makers who offer devices through their respective websites include LG, Huawei, and ZTE. Additionally, you’ll find various models sold through select online retailers. Here in the United States, at least, we’ve seen a few brands getting more aggressive in the area of unlocked phones. Some names may be familiar to you (Lenovo and Sony) while others are just starting to step out from behind the curtain of wireless carriers and make their presence felt. There are a few smartphone makers, both domestic and foreign, who have essentially built their brands off of unlocked smartphones. 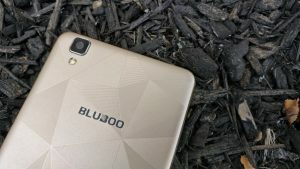 Blu Products, for instance, is based in the US and has long offered a range of Android devices spanning multiple price points. In terms of industry impact, OnePlus has perhaps shaped this landscape more than most. Now in its third iteration, its unlocked phones typically offer some of the latest and greatest in hardware but at a price that’s considerably less than its competitors. Now that the wireless space has opened up in the US, consumers are now finding other companies to consider. And, thanks to the low cost of some Chinese and Korean brands, we’re now seeing names like Xiaomi, Elephone, Bluboo, Doogee, LeEco, and Ulefone. You might have a little harder time tracking some of them down, but the stuff coming out of the other side of the world is quite compelling.